Simply wearing a badge or sticking a pro-Aboriginal sticker on your car is an important statement. In a small way it helps to create a new culture. It helps to change social norms so that it is less possible for Aboriginal people and sovereignty to be ignored and denied by dominant culture. It may even start a conversation. 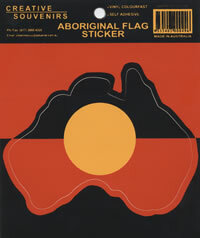 You may find out that others support your views too, so by showing your colours you help to empower others to be more vocal in support of Aboriginal people and rights. 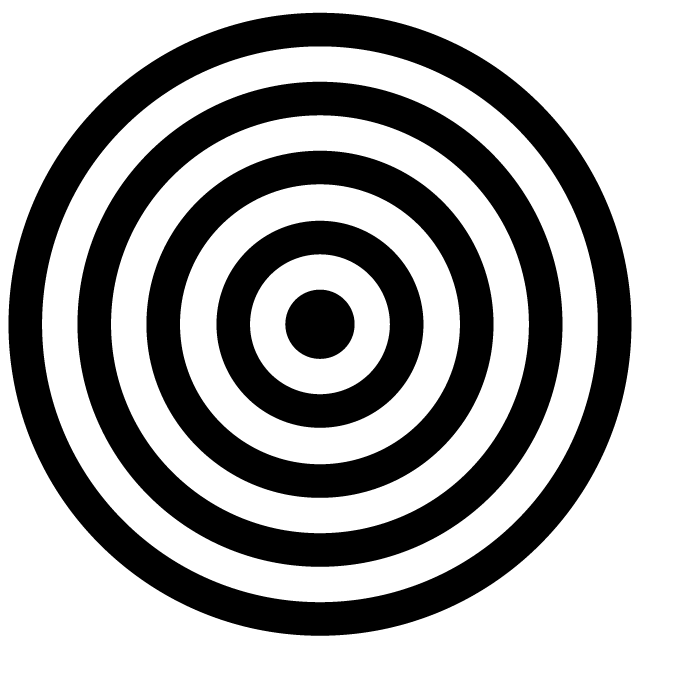 On the other hand it may flush out opposing views, so you will then sense more deeply how big the task ahead is. One place where you can buy pins, badges and stickers is the ANTaR Victoria online shop. These plaques are often seen around Melbourne, out the front of homes, offices and community centres. 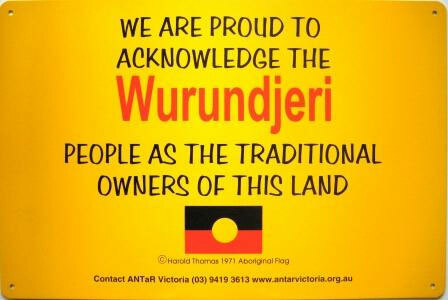 If you are not living or working on Wurundjeri land, then you can get a generic plaque that acknowledges the ‘Aboriginal’ people as the traditional owners. You can get this type of plaque from ANTaR Victoria.